Home | We Offer SkinCeuticals! For so long patients have asked us, “What more can I be doing for my skin at home?” After looking far and wide (by that, we mean researching different brands and testing them on ourselves), we’ve found a brand we LOVE so much that we’ve decided to stock it in the office! 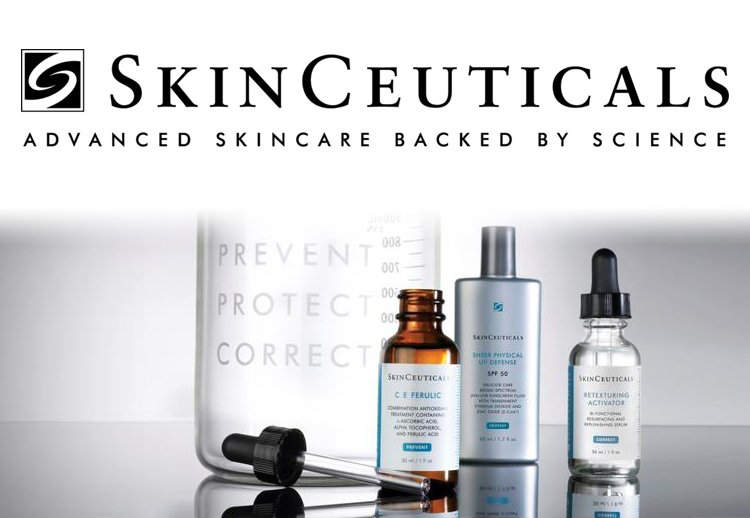 SkinCeuticals is a skincare line that makes creams, toners, cleansers, moisturizers, serums, masks and more… everything you need to care for your skin and complement your aesthetic procedures. We love it because they’ve used skin cancer research and proven antioxidant formulas to create a concentrated serum that protects your skin. They’re working to correct the appearance of previous damage, protect healthy skin, and prevent signs of future damage with their line of products. The products are made in the USA and used by dermatologists, doctors and surgeons everywhere, including here! If you need extra hydration, help for discoloration or blemishes, acne treatment, anything – they’ve got you covered! Next time you’re in the office, ask us about SkinCeuticals for at-home skincare treatments that compliment your procedures and boost your results!